Cheer the Profs on to victory as they take on the William Paterson Pioneers! 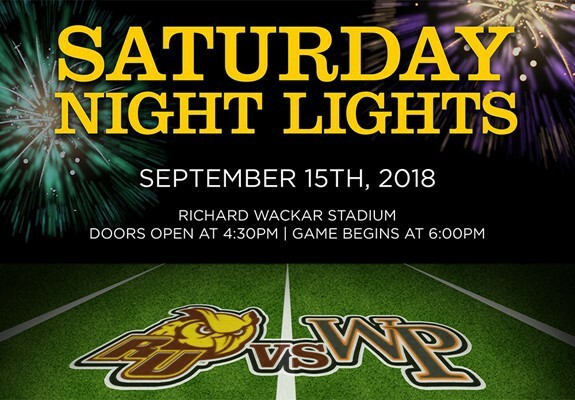 Come on out to the Rowan University Football home opener Sat., September 15 at 6:00 p.m. at the Richard Wicker Stadium. Doors open at 4:30 p.m. and free funnel cake or fried Oreos will be offered to the first 1,000 and a beer garden from Bonesaw Brewing (identification required). During the game and halftime, enjoy inflatables and a hamster ball race. Stay later to enjoy a post-game fireworks display! The game against William Paterson University kicks off at 6:00 p.m. Admission is $8, visiting college students with ID and senior citizen pay $5 and children under three years old are free. Join in on the fun event for the entire family, open to the public, and cheer the Profs on to victory!